Arnab Gowsami is one character you can never ignore. You may hate him, loathe him and feel like throwing up on him; but still end up watching his News Hour monkey antics. That is how he has magnetised all of us with his arrogance. When Dhoni retired from Test Cricket, he started calling Dhoni as a traitor. Many of us got angry with Arnab for making such a statement. Even Times Now channel knows that many hate Arnab. But still they use him for the Negative publicity and his ability to keep the TRPs high. Some of us might be thinking of how to handle this tsunami called Arnab. Chronicwriter has some ideas. You can add some of your ideas in the comments section too in addition to the ideas presented here. 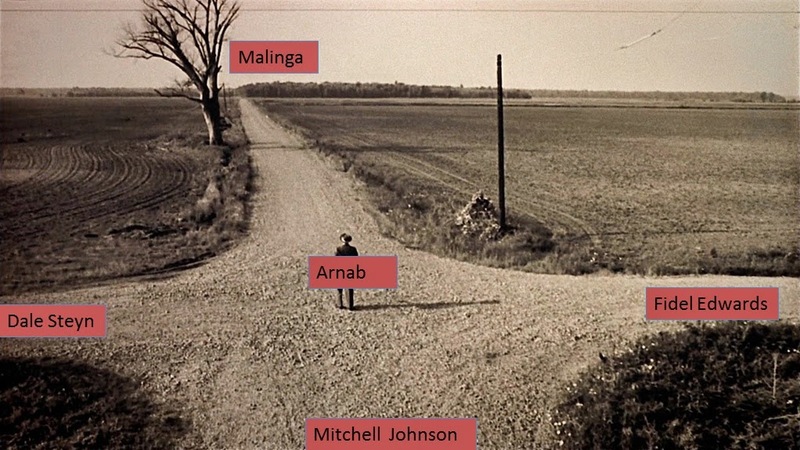 I pictured Arnab at the crossroads without a helmet or a groin guard. Four of the fastest bowlers at present should be given cork balls to bowl at Arnab from four different directions. What a lovely sight it would be to see Arnab facing these four guys. If you think that this crossroad treatment is barbaric; believe me that it is nothing compared to what he does to his panellists in the News hour. Ananth Ji is India's leading Voice expert according to Vijay TV's super singer 3 month certificate course. Ananth Ji spends all his life locked up in the Super Singer studio. He has been on a long term jail imprisonment in this studio and he is given a special chair also in the show. Director Bala bailed him out for a brief period and gave him a decent role in his movie Avan Ivan. Vijay TV again imprisoned Ananth Ji and locked him in the studios. Arnab should get his voice trained by Ananth Ji. If Arnab could sing some songs in addition to his usual barking, it would attract more viewers to the show. These days every actor in movie is trying to sing a song in their movie. Why shouldn't Arnab try his vocal chords? If his vocal chords are still not tuned, then Director Lingu could do the final tuning and that would seal his Noise; I mean Voice. If both the above tips does not do wonders, then Arnab should definitely invite the DREAM TEAM to his panel. 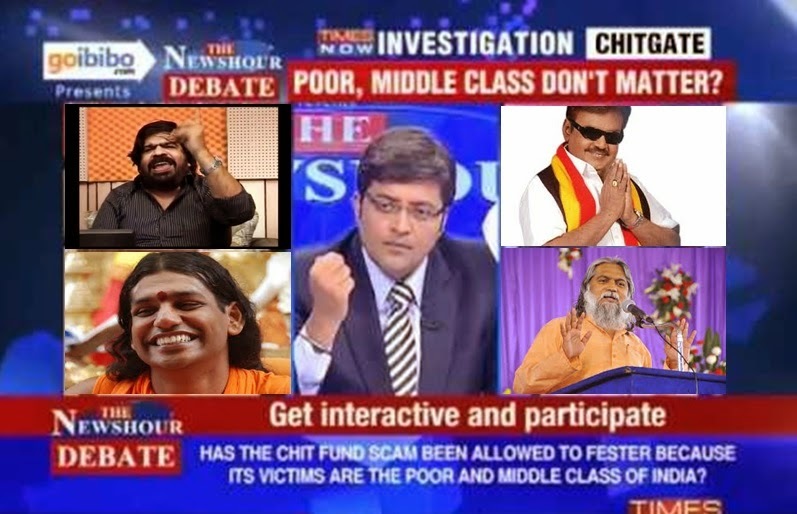 These 4 geniuses can do more damage to every single cell in Arnab's body. 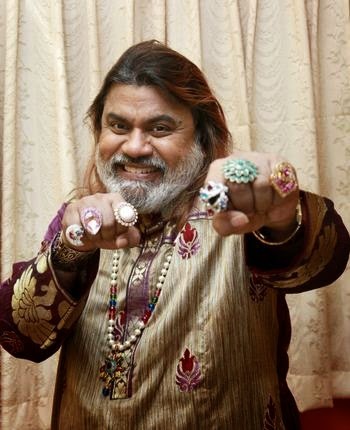 4) Comedian Sadhu who plays marbles with Angels and plucks their feathers. That would be the best Interview one could ever watch. This panel is better than the Dream panel I have blogged about in a previous post. LOL Bro..Hilarious.. 'Comedian Sadhu who plays marbles with angels and plucks their feathers' - where did that come from? funny ! ananthji is ultimate !